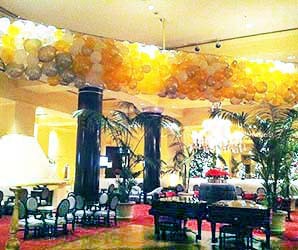 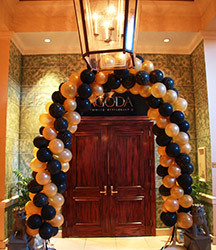 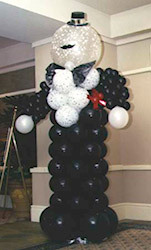 Balloonatics holiday and New Year's party decorations range from festive and colorful to classic and formal for black tie events. 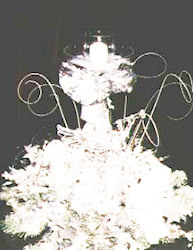 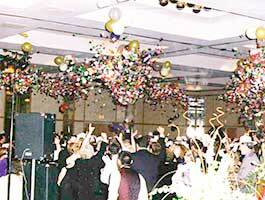 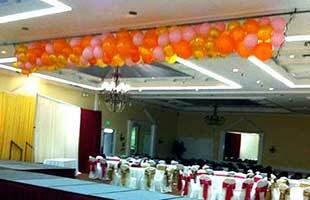 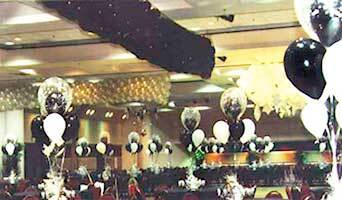 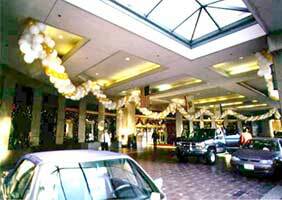 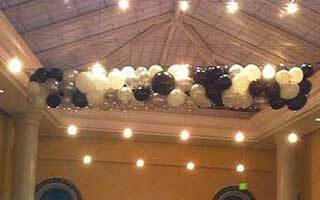 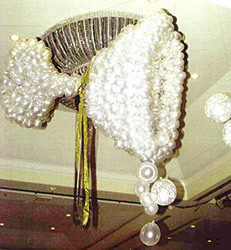 Balloonatics is also a leading supplier of balloon drops customized to the size and ceiling height of your venue. 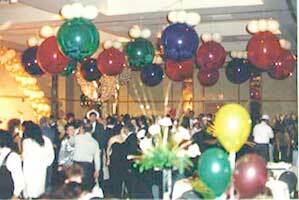 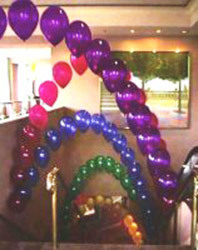 Our balloon drops can be color coordinated to your decor. 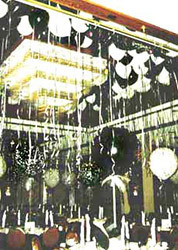 The photos in this gallery show a variety of designs for New Year’s Eve which we can customize for your party or special event. 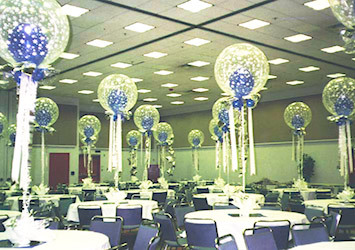 Room and venue decorations communicate the spirit and colors of your event theme, and can transform your venue into the world of your choosing for your holiday party guests. 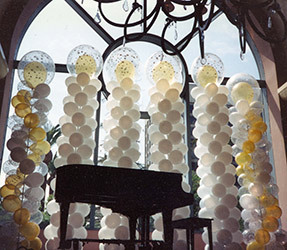 We provide balloon drops in a variety of shapes, sizes and types, including color-coordinated drops to accent decor themes, drops with large balloons that party goers can play with, drops for low-ceiling-height venues, and drops that explode on a signal, spraying confetti.